NBC has canceled Megyn Kelly's morning show "Megyn Kelly Today," announcing Friday the embattled anchor's show will not return to air. "‘Megyn Kelly Today’ is not returning. Next week, the 9 a.m. hour will be hosted by other ‘Today’ co-anchors," an NBC spokesperson said. Kelly came under intense network criticism this week when she defended white people using "blackface" in Halloween costumes, calling opposition to it political correctness run amok. Her "Today" colleagues Al Roker and Craig Melvin ripped her the following morning on the air, NBC News chief Andy Lack said at a town hall that her remarks were indefensible, and Kelly wound up offering a tearful apology on her show Wednesday. It wasn't enough to rescue her or the program, however, as NBC News reported Friday morning she is negotiating her exit from the network. Her attorney Bryan Freedman said Kelly is still an employee at NBC as of Friday, however. 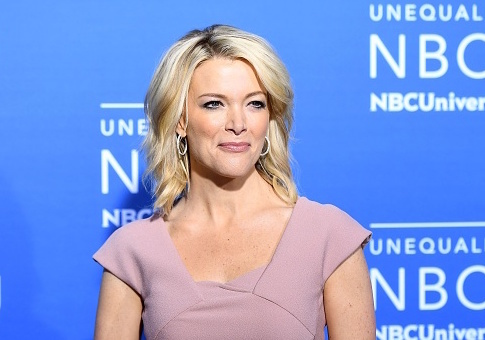 "Megyn remains an employee of NBC News and discussions about next steps are continuing," he said, according to Page Six. Kelly signed a three-year deal with NBC worth a reported $69 million last year. While she earned a reputation as a hard-hitting political journalist at Fox News, she struggled to make the pivot to the more sunny side of morning television. After getting off to a rocky start when her Sunday night newsmagazine last summer drew low viewership, her 9 a.m. hour of NBC's valuable "Today" brand produced more than its share of awkward moments. Her ratings suffered, she stumbled in interactions with celebrities, and she was the subject of considerable mockery for one cringe-worthy segment where she danced with fellow NBC anchor Hoda Kotb. This entry was posted in Politics and tagged Megyn Kelly, NBC News. Bookmark the permalink.